The Wellcome Museum of the History of Medicine is a part of The Science Museum in London (Exhibition Road). 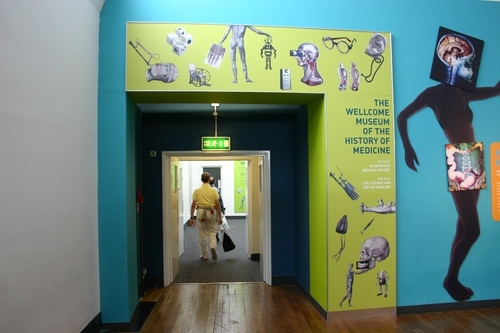 Sir Henry Wellcome "was interested from childhood in the history of mankind and before 1900 conceived the idea of a museum devoted to the history of medicine. Always a collector, Wellcome began to spend much of his time and wealth travelling extensively to find objects for the museum. Eventually he had a network of staff monitoring auctions and going on buying trips to find material. The Wellcome Historical Medical Museum first opened in London in 1913. However, the pace of collecting never slackened during Wellcome’s lifetime and most was never displayed – indeed, never unpacked. 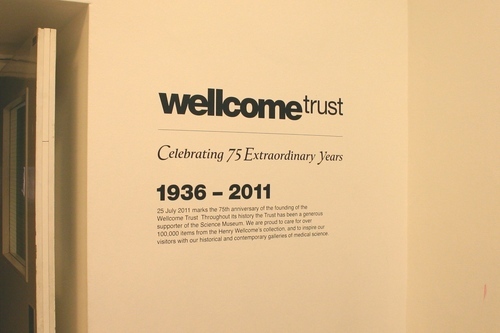 In 1976 the Wellcome Trust reached agreement with the Science Museum for the transfer of the collection, comprising about 114,000 items, on permanent loan. Many of the most important objects are now permanently displayed at the Science Museum on two floors devoted to medical history, while a series of special exhibitions – on dentistry, veterinary medicine and many other subjects – has focused on particular groups of objects"1. 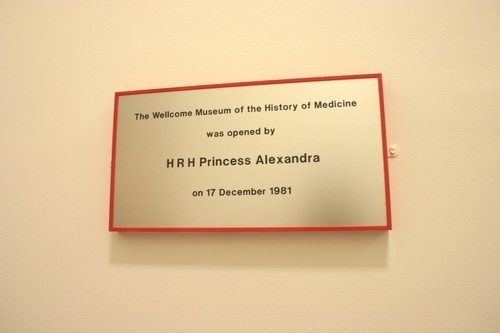 As remembered by a memorial plaque, the The Wellcome Museum of the History of Medicine was opened by H R H Princess Alexandra on 17 December 1981. Photos by ti.supmacinu|ihgrob.l#ihgroB acuL (August 2011), courtesy of the Science Museum. 1. Retrieved from the Museum's official website.